Big Brother USA Post about the Big Brother USA and Celebrity BB USA, and the HouseGuests here. Last edited by Mokka; 10-02-2019 at 02:44 AM. Maybe you can decrypt it from the following.. The last few eps we had to endure nothing but riggage. All geared toward helping out their pet Tom. 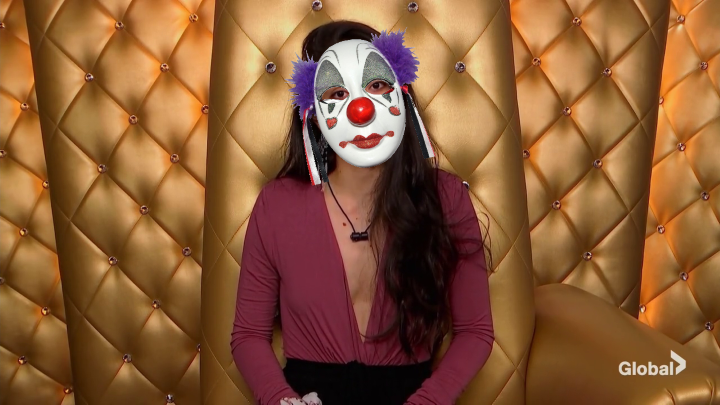 Firstly, we see clown Kauto being ousted before him(ridiculous and nonsensical) making it clear the cast were pressured/forced to vote that way. Then we had an HOH that was nothing but a memory game, allowing their pet to practice and remember how to make the specific connection quickly. Following that we had the veto where screwball Lolo "mustn't be picked" according to Tom and his pathetic new alliance of floating trashbags.. and guess what? nutty Lolo wasn't in fact picked(BB, the game where longshots become odds-on certs. Farce) leaving her ready to explode with anger. No doubt this was fixed up by desperate producers for no other reason than to punish her because she had their pet sussed from early on. Of course, rigging her out of competing was irrelevant as far as how the comp would've went..given how we seen it was another one set up for their pet(all in giant separate booths so they could guarantee he was the last man standing) but just like they did in the HOH comp, they showed him pretending to "work out" a "winning formula" as if he was some sort of "thinking genius"
Anyway, now that their pet male is gone, they can focus all their riggage on getting their fav female to win the whole thing => the ridiculous Tamar. ****, are Pro Sniper's absurd conspiracy theories about the show being rigged for [someone who ends up not winning, lmao] going to become a semi-annual occurrence now? Someone hold me. I've said plenty of times before it's difficult to rig the actual winner(the only foolproof way would be to pay off enough of the jurors) but it's hardly difficult to rig protection/progress(as we've seen throughout its entire run..) with glaring evidence that only a fool would deny. GLARING EVIDENCE being........ a bunch of baseless speculation just bc things didn't go your way. The mental gymnastics that you perform now twice a year (!) is fascinating, exhausting, impressive, terrifying... all of the above. I guess my biggest question is that if you're going to become the crazy grandma who lives in the attic every season shouting about your conspiracy theories that are obvious to literally no one other than you about how THE SHOW IS RIGGED and IT'S SUPPOSED TO BE A FAIR GAME........ why are you still watching? How is any of this fun to you? What is Mr Heston doing - answers on a postcard addressed to the Jewish Broadcasting Corporation, White City, London, Brexitland. That's an incredibly presumptuous thing to say. It's highly unlikely I'm the one and only person who can see right through the bull they always try to sell. As for why I still watch, I'm a lover of human character, interaction..and remain fascinated by human psychology. So, in spite of all the blatant rigging to help favs and push silly narratives, the show retains enough to keep me interested. Of course it would be much better without the desperate interference..but the chance of that happening is about the same as Dina and Kandi becoming comp beasts. With this in mind, I'm able to analyze and interpret the game/moves in a much truer sense, easily picking up on when something is manipulated from above, rather than materializing naturally. True, I forgot how easily you picked up on the fact that Fessy was controlling and insecure and thus used his HOH reign to nominate the two dudes who were the closest to Haleigh. Oh right, that was another instance of production manipulation and going off of a script. My bad! That's your personal theory. Much more likely(as I believed at the time) the dumb ox was simply following orders to protect the freak duo.